These days, Justin’s not certain about anything apart from his uncertainty – Brexit looms, it appears the Cold War is being rebooted and that’s before we begin to worry about what’s happening in America … closer to home he’s starting to feel redundant as a parent. On top of this, the golden age of the Northern straight white male comedian has gone the way of the dinosaurs. How will he adapt if he wants to survive? What next for this Northern Joker? Hang on. Perhaps nothing has changed that much... Maybe the youngest just needs a different type of comic. 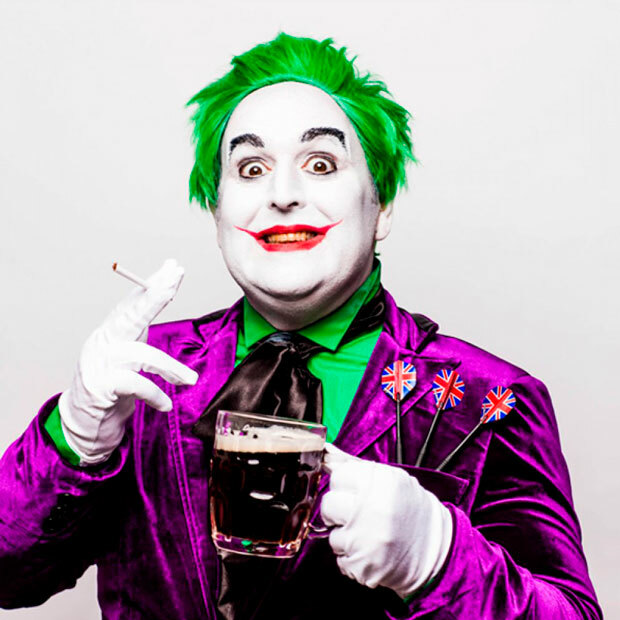 Justin Moorhouse's TV and film credits include tiger-faced Young Kenny in Phoenix Nights, Ken Loach’s Looking for Eric, Live At The Apollo, Michael McIntyre’s Comedy Roadshow, 8 out of 10 Cats and Alan Davies: As Yet Untitled. On radio he has written and starred in two series of his own Radio 4 sitcom Everyone Quite Likes Justin and often appears on Radio 4’s The News Quiz.